The Department of State Security Services, DSS has withdrawn its invitation to the National Commissioner of the Independent National Electoral Commission, INEC, in charge of logistics, Okechukwu Ibeanu. It’s unclear why the agency would drop its decision but sources hinted that some prominent Nigerians intervened because of the “timing”. This invitation was initially believed to be related to the fiasco that led to the postponement of the general election by one week. The All Progressives Congress (APC) has accused the Ohanaeze Ndigbo of frustrating the party in the South East, including President Muhammad Buhari’s visit to Anambra and Enugu states today. They alleged that the fixing of meeting of the Imeobi, the highest decision making organ of the body, today, by the Chief Nnia Nwodo leadership, was a design to diminish the import of the President’s visit. Deputy Publicity Secretary of Ohanaeze, Chuks Ibegbu said Ndigbo would, at the meeting take a position on which direction they will cast their votes, particularly on the presidential election. Also, a chieftain of the apex Igbo organisation, who belongs to the APC in Enugu State, Prince Richard Ozobu, on Monday, faulted Nwodo for scheduling such an important meeting on the day the President is visiting two states in the region. But, Ohanaeze, in a swift reaction denied that the Imeobi meeting was scheduled to sabotage the campaign tour of the APC presidential candidate. Nwodo said in Enugu, yesterday, that the NEC of Ohanaeze Ndigbo had chosen the date without knowing the campaign timetable of the ruling party. He explained that it was even the Minister of Labour and Productivity, Senator Chris Ngige and the Chairman of the South East Governors’ Forum and Governor of Ebonyi State, Chief David Umahi that called his attention to the clash. He disclosed that Ohanaeze Ndigbo has in deference to Ngige and Umahi, shifted the time for the meeting from 10:00am to 4:00p.m “on the same day at the instance of Dr. Ngige. The body noted that they were aware of the extra cost implications due to those that would have gone after the meeting, but would now be accommodated in hotels, apparently to give all Igbo sons and daughters scheduled for the meeting opportunity to be there. The statement added that although Ohanaeze Ndigbo is apolitical, it could aggregate the collective interest of Ndigbo for a candidate that answers to their wish and inclination but would not be dragged down to the level of vile politicking. Meanwhile, Minister of Foreign Affairs, Geoffrey Onyeama, has called on Ndigbo to vote massively for President Buhari in the February 16 poll because of the long term benefits to them. 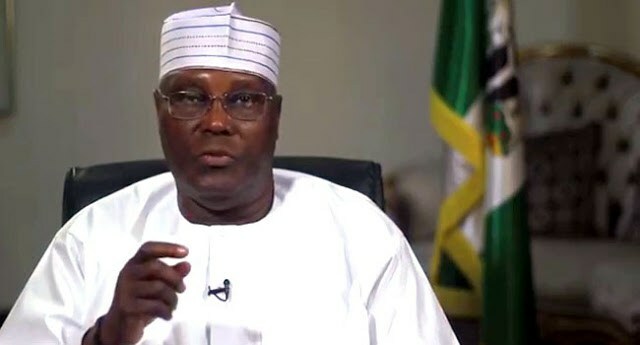 Former Vice-President, Atiku Abubakar, on Wednesday, said that the desire to move Nigeria forward was the greatest factor motivating his desire to keep seeking to occupy the highest political office in Nigeria. Abubakar, who spoke when he visited an elder statesman and Peoples Democratic Party chieftain, Chief Emmanuel Iwuanyanwu, during his visit to Imo state in his ongoing nationwide presidential consultations, said that bad governance had taken Nigeria back. The former VP, who came in company with his campaign organisation’s Director-General and a former Governor of Ogun State, Gbenga Daniel, and other members of his campaign team, said that he had the solution to the myriad of challenges confronting the country. He said he was in the state to consult the leadership of the PDP in the state ahead of the party’s presidential primary. Similarly, Atiku accused the ruling All Progressives Congress of failing the aspirations of Nigerians. The former president declared that he was ready to make more personal sacrifices like he had done, to make Nigeria better. Former President Olusegun Obasanjo has vowed that no amount of intimidation and threat will force him to abandon his struggle for a better Nigeria. He said “nobody who loves Nigeria will want it to be better than what it is today,” and warned that if Nigerians fail to act together as they should, the country will not be what it should be by 2019. He made the remarks yesterday while addressing a 30-man delegation of Bafarawa Presidential Campaign Organisation (BCO), led by the former governor of Sokoto State, Attahiru Bafarawa, during a courtesy visit to him at the Olusegun Obasanjo Presidential Library (OOPL) residence, Abeokuta. The former president, who observed that no right-thinking Nigerian will applaud the current situation in the country, declared that he was ready to make more personal sacrifices like he had done, to make Nigeria better. Obasanjo said he would throw his weight behind any presidential candidate who has track records of integrity, diligence, humility and not nepotism. He said: “There are three attributes of a leader I saw in you, namely, diligence, humility and you don’t discriminate in terms of people who work with you. And you listen to advise. And so, yours is to see what you can do to make Nigeria better than what it is today. “I’ve made personal sacrifices and I will make more. I fought in the war front and shed blood. I went to prison for doing nothing wrong. I’ve also been intimidated and threatened, what would you do to intimidate somebody like me? “Before I act, I pray to God to guide me, and I think of Nigeria first, particularly majority of Nigerians who are underprivileged, whose situation we need to improve upon. “But, leadership is not easy; if we do not act in unity, Nigeria will not be what it should become 2019. For 200 million people to continue to complain that things are not right, we are doing the same thing as we have done before. Speaking earlier, Bafarawa said he decided to visit Obasanjo to seek his prayers, advice and support for his presidential aspiration. He said as a governor, between 1999 and 2007, he was able to save and leave N11.8 billion in the coffers of the state, courtesy the then president’s advice. The National Publicity of the Peoples Democratic Party, Mr Kola Ologbondiyan, said Nigerians would determine the presidential candidate of the party in the February election. He may be partly correct because delegates who will vote at the party’s special national convention where the candidate will be elected are citizens of the county. However, while the delegates will queue with ballot papers in their hands and the list of aspirants printed on them, they may not be there to exercise their personal conviction on who to vote. This is because each delegate is believed to have at least a godfather, whose bidding will be reflected on his choice of the party’s presidential candidate. For the PDP and members of its coalition groups, the 2019 presidential election is too critical to be left in the hands of not too informed delegates. A former governor of Osun State, Prince Olagunsoye Oyinlola, expressed the seriousness he and his co-defectors associated with the election at the inauguration of the coalition’s national secretariat in Abuja on Thursday. At the event, he warned his group to know that its key members would be dealt with by the ruling All Progressives Congress if President Muhammadu Buhari returns to power in 2019. Oyinlola, a retired general, asked his co-travellers in the plot to know that what they are involved in is like coup plotting. “Coup is not illegal when it succeeds, but when it fails, plotters are hounded up in jail and later killed. So, be ready and know the implications of what you are involved in,” he told his audience in a clear language. Sometimes ago, when the National Chairman of the PDP, Prince Uche Secondus, led a delegation to visit former President Olusegun Obasanjo at the latter’s residence in Abeokuta, their host also sounded the same warning to his visitors. To buttress his point, he was also said to have asked one of his personal aides to bring his already-packed bag, which he said contains his drugs, few clothes and other essentials, ready to be arrested by the Federal Government over their decision to install a new President for the country in 2019. “You know I’m used to it. I have been arrested before, I was tried for a coup that never existed and I was jailed. Therefore, I’m used to it. It is you who are not used to it. I’m telling you this to let you know that they will come for us if we fail in this task,” he reportedly told his astonished audience. Such is the seriousness in the camp of the opposition as the nation prepares for the 2019 general elections. They believe that politics is a serious business that will be too expensive to be left in the hands of one person. Though many notable politicians have come out to signify their readiness to fly the party’s presidential ticket in the February election, their fate may have to be determined by just a clique in and outside the former ruling party. Among those who have signified their intention to run are a former governor of Kano State, Ibrahim Shekarau; Governor of Gombe State, Ibrahim Dankwambo; a former governor of Kaduna State, Ahmed Makarfi; a former Vice-President, Atiku Abubakar, a former Minister of Special Duties and Inter-Governmental Relations, Alhaji Kabiru Tanimu (SAN ) and a former governor of Jigawa State, Alhaji Sule Lamido. Others considered to be with the potent war chest to fight for the ticket, but who have yet to openly declare their ambition are a former governor of Kano State, Rabiu Kwankwaso; Governor of Sokoto State, Aminu Tambuwal; and the President of the Senate, Dr Bukola Saraki. While they are expected to traverse the length and breadth of the country to seek votes from the delegates, the deciders of their fate may nevertheless be a few, within and outside the party. He’s been described by many adjectives. Some are complimentary while others could be full of disdain for the former military head of state and a two-term president. But instead of sitting by and get burdened with the comments of those who have resentment for him, Obasanjo has remained hardened in his unwavering conviction that President Buhari’s performance since he assumed office more three years ago, remain everything but unsatisfactory. He has said that allowing Buhari to remain in office after four years will mean a reinforcement of failure. Like a soldier that he is, when Obasanjo is convinced about a cause, he puts in everything in him into it. That is why even though he has torn his membership card of the party that brought him into office, Obasanjo has returned to the political battlefield to strategise with other like-minds just to achieve their aim of getting a replacement for his junior in the army. With his involvement in the formation of the coalition that involves 39 other political parties and associations, it is evident that Obasanjo will be one of those who will determine the standard bearer of the PDP, which is the dominant political party in the coalition. Like Obasanjo, Theophilus Danjuma is a retired general. He played a prominent role in the conspiracy that brought Buhari into power. He was said to be one of the major financiers of the APC campaign. The unabated killings in the country, particularly in his native state of Taraba, is believed to have created a wedge between Danjuma and the Buhari government. Recently, the former army chief openly expressed his frustration about the killings of his kinsmen when he alleged that there was collusion among the security agencies and the killer Fulani herdsmen. He told the people in an unambiguous language, to embrace self-defence. Danjuma, who is believed to be stupendously rich, hardly talks but when he does, the contents are so heavy that he cannot be ignored. That was why even the Presidency and the army authority were forced to react to his allegations on the killings. While the Presidency waved the allegation aside and denied it, the army was forced to set up a probe panel to investigate it. Danjuma seems not to care about the ranting of the military and the Presidency over that, as he is said to have joined the “brave patriots” to search for an alternative and acceptable candidate that will slug it out with Buhari next year. He is not a member of the PDP. In fact, he is the national chairman of the Social Democratic Party. Naturally, he ought to be concerned about how his party would win the presidential election. That, however, is not the case. Falae, who was a former Secretary to the Government of the Federation, played a prominent role in the formation of the coalition that was put together with the sole aim of removing Buhari next year. He has asked all the political parties involved in the coalition to bury their individual ambition and join hands and present a single candidate for the battle. Going by his presentation at the inauguration of the coalition at its national secretariat last week Thursday in Abuja, and since the PDP remains the largest political party among the partners, Falae is expected to be carried along and also contribute on who would fly the PDP flag for the coalition. “Wike the wicked,” as he’s called by his admirers because of his frankness while speaking on national issues and politics in his home state, Nyesom Wike, the governor of Rivers State, will also be a major player in the PDP presidential candidate selection. 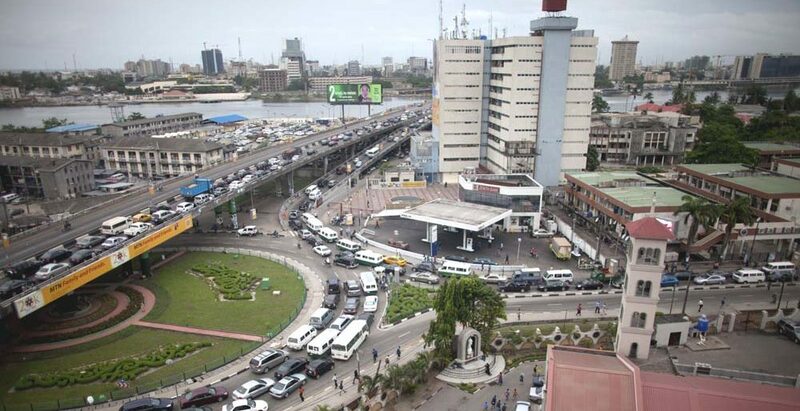 Apart from being a governor of an oil-rich state, Wike is also one of the major financiers of the party. He played a major role in the installation and the sacking of the erstwhile Acting National Chairman of the party, Senator Ali Modu-Sheriff. Wike was also at the forefront of the election of the current National Chairman of the party, Prince Uche Secondus and the majority of members of the party’s National Working Committee. The former minister of state for education is also believed to have a close rapport with the majority of the present and former leaders of the party. With his deep purse and involvement in the bid to rescue the party from the Ali-Modu group who had all defected to the APC, no discussion can hold on who will be the presidential candidate of the PDP and the name of Wike will not be mentioned. Some people are nevertheless speculating that he is nursing an ambition of becoming the running mate of one of the aspirants. A former head of a junta in Nigeria, Ibrahim Babangida, does not in any way, qualify as a Democrat going by his past actions and records. Unfortunately, the self-styled “evil genius” is among those being consulted as the PDP begins its tortuous journey to get a credible presidential candidate. His palatial home in Minna, Niger State has since become a Mecca of the sort for politicians from the PDP, seeking relevance in the new dispensation. He is said to be in touch with some powerful people in the country to pick a candidate for the PDP, whose presidential ticket had eluded Babangida himself in the past. They call him “total chairman” because of his alleged unalloyed loyalty to the party and his friends, Uche Secondus, the national chairman of the party will be saddled with the responsibility of taking a decision with others, in deciding the party’s presidential candidate. Since he assumed office in December 2017, Secondus has carried on with his job meticulously. His style of leadership, which has been described as unique because of the silent way he carries out his job, has yielded many fruits. His ability to convince Obasanjo to back the PDP’s search for a presidential candidate has been described as unparallel diplomacy. Such diplomatic moves that also made a former Deputy National Chairman of the party, Chief Bode George to reconcile with Obasanjo and bring them together, is expected to manifest in the party’s continued search for a presidential candidate. Secondus will, however, be expected to carry members of his NWC along in this task. But going by the strategic post he occupies, the national chairman will not be asked to second the motion for the selection of the PDP candidate, he will be duly involved. The Governor of Bayelsa State is not seeking a re-election and this puts him in a good stead to navigate with other party leaders to search for a formidable candidate for the party. Besides, Dickson is also presiding over a rich state whose resources will be useful for the presidential campaigns. The Governor of Akwa Ibom State is another PDP leader with a deep purse. Though he is said to be having a silent running battle with his predecessor, Senator Godswill Akpabio, the governor is said to be a serious party man. While some of his fellow governors from the PDP who are hardly seen at the party events, Emmanuel has been one of the formidable forces behind the position of the party today as a formidable alternative to the APC. The selection team will definitely not asked him to excuse them when the final decision on the PDP presidential candidate is going to be taken. A former governor of Delta State, Chief James Ibori may be involved by proxy. His state governor, Ifeanyi Okowa, may represent his interest as the former governor has yet to begin to dabble into national politics since he returned from London where he served his jail term having been convicted for corruption. He, nevertheless, still determines the political direction of the oil-rich state and what happens at the party at the centre. One of the prominent members of the military known in their circle as the “master spy,” Gusau, a former National Security Adviser, has remained a close ally of both Obasanjo and Babangida since he left service. He is said to be among the informal group searching for an alternative to Buhari. There are others who are expected to also be involved in the search. These include the Sultan of Sokoto, His Eminent Abubakar Sa’adu and the Emir of Kano, Sanusi Lamido. Though said to be the father to all, some analysts believe that there is no way Tambuwal would defect to the PDP and nurse a presidential ambition without consulting the Sultan. For Emir Sanusi, the defection to the PDP by Kwankwaso has put him on the spot. This is so as Kwankwaso was the governor of Kano State who installed him as the Emir despite the stiff opposition to his emergence by the then ruling party. 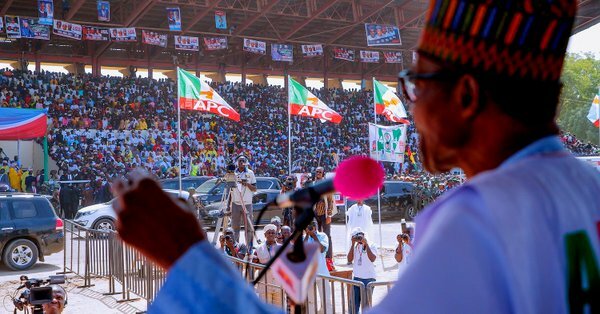 Stakeholders of the All Progressive Congress ( APC ), in Nasarawa State, have vowed to stand by President Muhammadu Buhari in 2019 presidential election despite the wide gale of defections across the country, saying that they would swim or sink with him. Governor Umaru Tanko Al-Makura stated this, on Thursday, on behalf of the stakeholders, at the Government House, in Lafia, while addressing them of the party’s commitment to ensuring the return of president Muhammadu Buhari in 2019. Those in attendance were Sen. Abdullahi Adamu and all the members of the National Assembly of APC from the state, all governorships aspirants under the APC in the state, all members of the state assembly of APC, top state government officials in the state. He appreciated members of the party from the state at the National Assembly and in the state for standing by President Buhari despite the challenges. They all vowed to stand by President Muhammadu Buhari to ensure he is re-elected in 2019, adding that the APC will deliver Buhari in the Northcentral Nigeria despite the exit of Benue and Kwara states from the party. Also speaking, Sen. Adamu said those who defected from the party have seen their failures in the party, adding that they are battle-ready for them. National vice chairman, North Central of the party, Alhaji Sulieman Ahmed Wambai, on his part, urged the supporters of the party in the state to remain the focus, adding that in the next three days, about three PDP governors in the East will join APC.